This lemon curd was one of the very first recipes that I added to this blog. I mean, we’re going all the way back to 2014 here folks. I’m taking about another era that was pre-hover boards, pre-taco emoji, pre-left shark.. aka the dark ages. 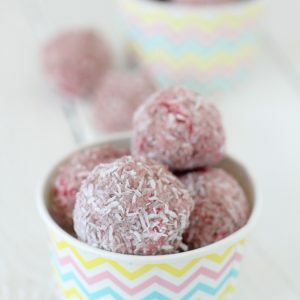 However, this recipe is just too decadent and delicious to be sitting on the dusty, cobwebby end of my blog and I’ve decided to polish it up and give it a new look and fresh audience. You know, I have to confess, for some reason lemon curd has always given me images of a grandma whisking, boiling and canning away in the kitchen all day. However, the truth of the matter is fresh lemon curd is so much easier than I ever imagined it to be. And because making your own things is totally hipster these days, grannies everywhere have.it.going.on. I first made this lemon curd in preparation for an Easter brunch (make sure to Pin it for your Easter planning!) that I was hosting and it was a hit. 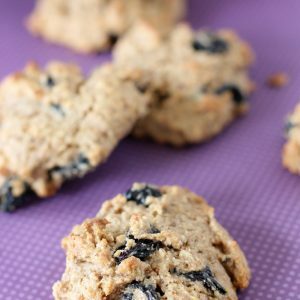 We paired it with some grain-free blueberry scones that I had made and it was a match made in heaven. The tang of the curd with the sweet, crumbly scone really did me in. This lemon curd was just too delicious though that I needed to make it again and find other delicious things that I could put it on. Besides just eating it with a spoon of course, which is also perfectly acceptable. 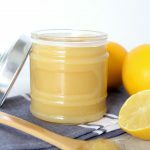 Some of the other things that I’ve added this lemon curd to in the past two years include… swirling it into some organic plain yogurt, once on a cheesecake, on some gluten-free sugar cookies, watermelon chunks, strawberries, and a bit of ice cream. 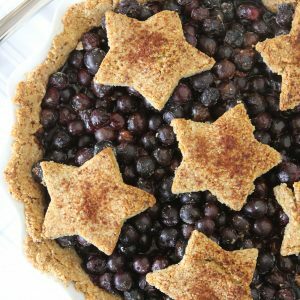 Any grain-free muffin, crepe, bread would all be equally amazing paired with this. I wasn’t too sure at first about replacing the refined sugar with honey. From a texture standpoint and a taste standpoint. I’m not sure quite what I was thinking though because lemons and honey go together like Kanye and his ego… perfectly! The honey adds a depth of flavor without competing with the fresh zip of the lemons. And the texture was silky smooth as it should be. 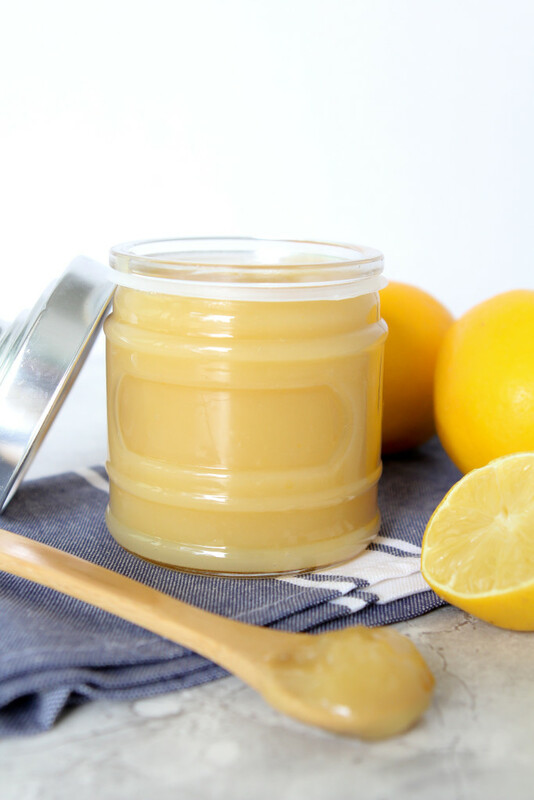 A refined sugar-free, paleo lemon curd. Wait for it to cool and it should be all set in just a couple of hours.